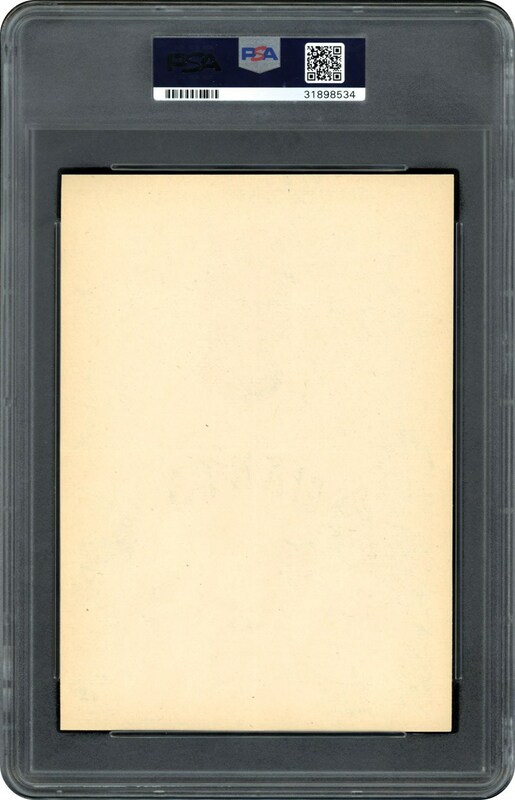 The 1967 "All Star Pin-ups" were wax pack inserts. 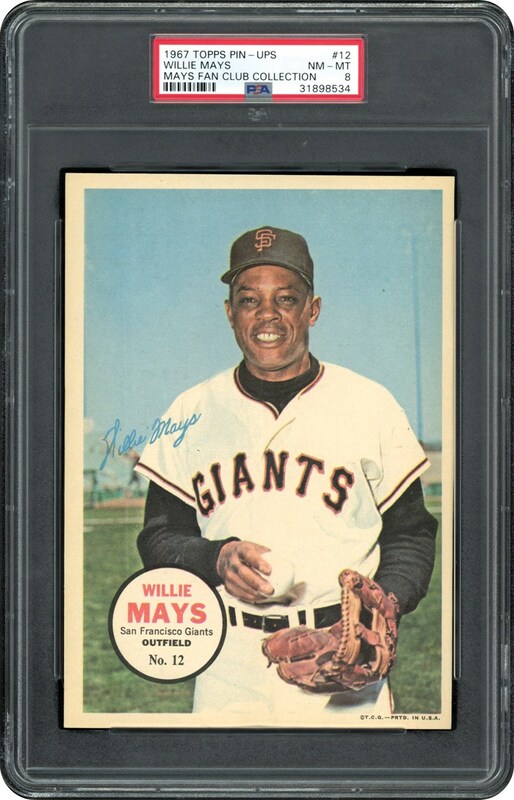 There were 32 total Pin-ups issued and we are offering this Willie Mays version in a PSA 8 NM-MT holder that is the highest graded example issued by PSA. Measuring 5' x 7", this color Pin-Up of Mays is one to own.